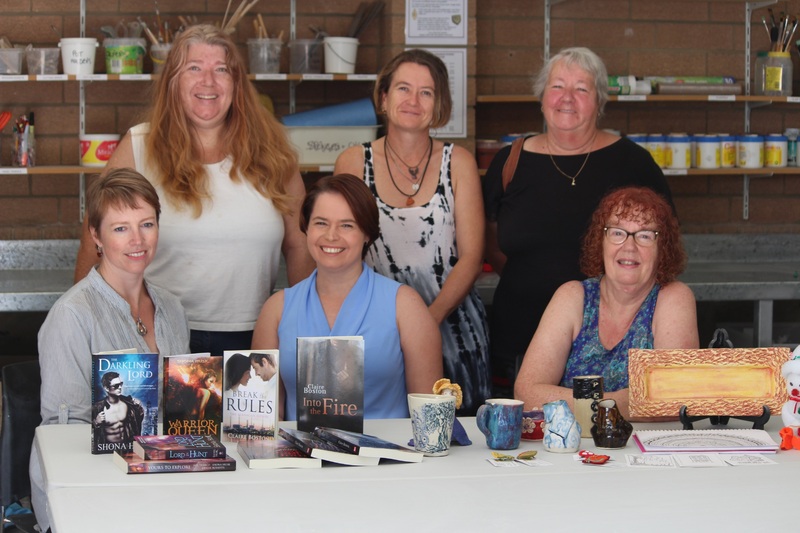 Artists Bec Thomas, Tanya Beavan and Lyn Berryman with (front) authors Shona Husk and Claire Boston and artist Lesley Jeffreys. A beginners’ writing course will be presented by three successful authors and cover the basics, including the business of being a writer in today’s changing publishing world. It will be held on Wednesday evenings from 7pm–9pm for five weeks from April 27; cost is $100 for members or $120 non-members. A beginners’ ceramics course will run for five weeks and the cost of either $160 for members or $180 non-members covers tuition, tool kit, clay, use of studio glazes and social session for the remainder of the term. The group also runs an art and craft social group on Wednesdays from 9am–12pm at $3 per week for members or $6 per week for non-members. Group contact Bec Thomas encouraged people to go to the Arts Centre at 11 Kent Street, Rockingham. “Join artists in a social and creative environment that will inspire, motivate and encourage you,” she said. Email forac.inc@gmail. com or call 0410 906 656.